Starbucks may soon be known more for its bottle than its cup. Somewhere in heaven, Alfred Peet is scratching his head. The Starbucks of the future has been unveiled and it doesn't have a lot to do with coffee. That's not what Mr. Peet had in mind when he taught three youngsters the tricks of his Peet's Coffee franchise in 1971. But then again, those three youngsters who founded Starbucks may not recognize their own baby either. Still, Starbucks' self-imposed transformation from coffee conglomerate to something, anything, local-looking that will fare better in tough economic times has a few things right. A new Starbucks opened in Seattle this weekend that the company hopes will be its answer to bringing the once-proud franchise into the new century. But some die hard Starbucks fan may hardly recognize this new metamorphosis. Gone is the emphasis on coffee and speedy barista -- in is wine and cheese. This new Starbucks doesn't even look much like a traditional Starbucks, according to the USA Today. The place has been re-branded to look more "neighborhoody" and organic so Starbucks can go head-to-head with some of them pesky independents that have been eating away at its profit margin. The new Starbucks also is serving regional wine and beer along with cheese served off fine China. Perfect for the Bay Area wine-and-cheese crowd. This Seattle-area Starbucks is a testing ground to see what's brewing in the coffee industry. If Starbucks is able to make this store work, it could roll out similar alcohol-serving, cheese-dealing, neighborhood independent looking coffee shops to one of the one million Starbucks locations near you. 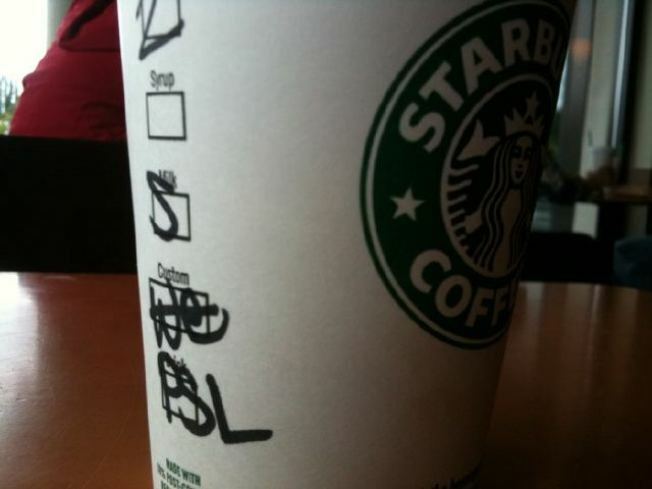 Starbucks of course has been trying out new tactics across the nation for months. From asking its baristas to slow down their grind to serving beer to raising prices to offering free Wi-Fi to allowing you to use your iPhone to pay for coffee. But in this Seattle store all the ideas are coming together and if they work, they could all be coming together near you.